A thousand years ago, people like you and me lived, loved and died here in the Islands of Britain. Their lives are far away in time, separated from us by some thirty generations. Yet they were very like us, just as cheerful, just as sad, just as generous, just as mean-spirited, just as skilled and just as fumble-fingered as we are today. It is a mistake to think that because they had no television or computers that they were one whit less intelligent than we who live where they lived. 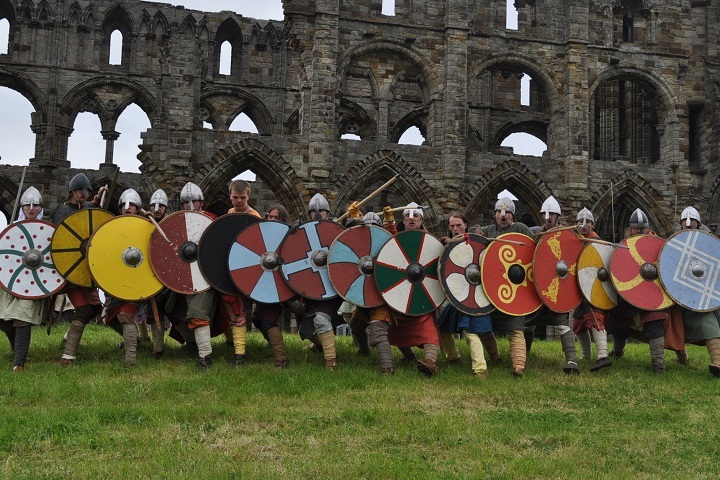 Their names have come down to us in the tell of the years and from the time of Ælfred the Great to the reign of Richard the Lionheart and we do our best to present a living image of the Anglo-Saxon, Viking, Welsh and Norman people in our period of interest. We are anglers, aristocrats and archers; riders, sailors, shipwrights and tanners, warriors, weavers and woodcarvers. You can live like a lord or peasant, fight in the shield wall with your shoulder companion – in Regia you can do all of these things and so much more beside. We especially welcome families with children where all will find people of their own age to talk to. The event organiser can breath a sigh of relief having found just the very people they need to celebrate a charter or bring new life to a long running festival. We present a rounded family-orientated product complete with music and narrative, action and living history. Here the film-maker will find an experienced, disciplined professional one-stop shop that has everything they need including ships and a permanent period location. Teachers will find the very thing they need to give depth to their lesson plan. Historians will find the path they are treading has been trodden before. We feel that we are about history FIRST and maintain a wide range of articles on just about every subject there is. Academics will find physical, practical reconstructions of archaeological finds. Do we sound interesting? Read on and have a look around. Regia Anglorum was a term used by early English writers to describe the English state. It means 'The Kingdoms of the English'. In a twentieth century context Regia Anglorum is a nationwide society with many independent local groups, from Scotland to the south coast, who all work within a tight set of common sense rules. Regia Anglorum attempts to recreate a cross section of English life, generally around the turn of the first millennium. 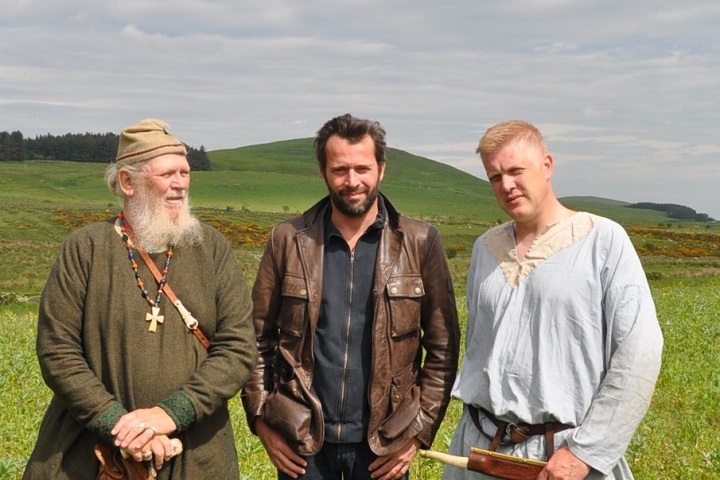 That said, our original self imposed brief was AD950-1066, but as the Society evolves, we do very happily take on both events and filmwork that stretch back to the time of the English Settlements and forward to the time of Richard the Lionheart and King John. These were tumultuous and interesting times when this island saw the influx and absorption of wave after wave of immigrants and settlers. From the time when Rome was no longer an influence here, a nation was forged in the fire of change after change, often maintaining England as the richest nation in Europe. 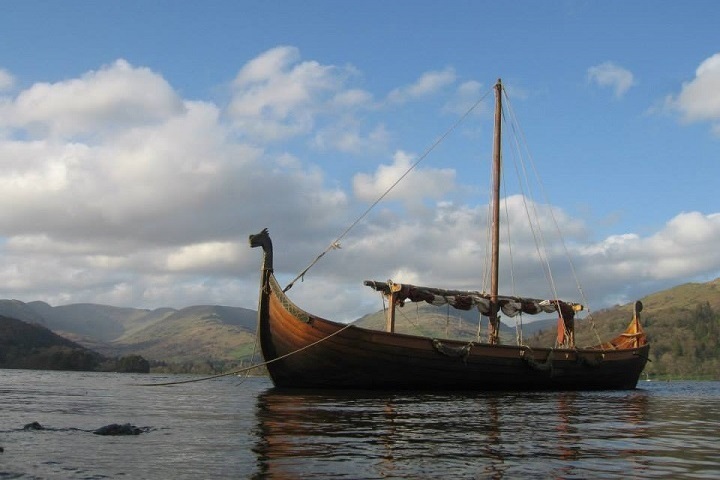 Here it was that our language, customs and culture were evolved, that resistance to the Vikings led us to see ourselves as a nation state, the Conquest by Duke William joined us irrevocably to Continental Europe and the revolt of the Barons made even King John agree to a Rule of a Law that applied to us all. By Datelining all our events, we can portray accurate images of the life and times of those who lived in the Islands of Britain so long ago. A Living History Exhibit, datelined AD1010. Our concern is to portray life in the round. This will of course include the warrior, striding the place of slaughter, his weapons ready to deal death and destruction. But we think it is equally important to demonstrate embroidery, how to make flour and bake bread and the whole gamut of techniques and skills that take a fleece from a sheep and turn it into a dyed cloth. From our extensive tented Living History Encampment, we can carry these skills into a field near you, into schools and colleges, into museums and galleries all over the United Kingdom. 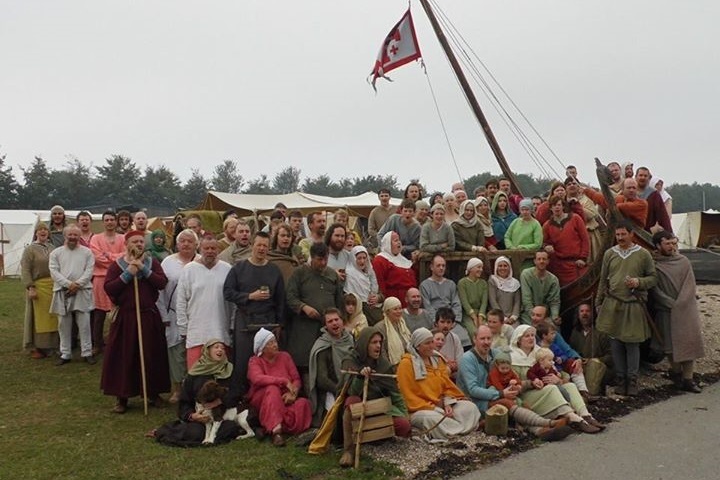 But we were not content with this: to become closer to our ancestors, we have a whole fleet of ships and a Longhall at Wychurst on our own land in Kent. For Regia and its members, portraying 'life in the round' is a serious business and we have committed nearly thirty years and hundreds of thousands of pounds and the skills of our members. We shed blood, tears, toil and sweat to bring those distant centuries to sharp and clear focus in the modern world. Our basic tenet is Authenticity. To this end we will not portray any image, support any ideal, or make any item of kit which we cannot provenance from contemporary sources. This sometimes requires us to re-evaluate how we look and why we make or wear certain items, and to alter them or our habits to hone the image we depict. 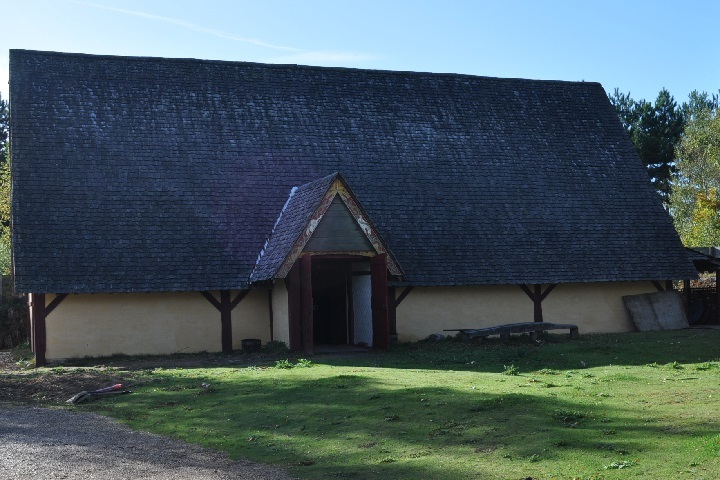 Regia has embarked upon a project to reconstruct a fortified Anglo-Saxon manor house. The site has been named Wychurst and although it did not exist 1000 years ago locally, is a typical name for such a settlement in the Weald of Kent in Southern England. As with all Regia projects, this literally ground breaking enterprise is being done with great care to ensure the completed project will be as faithful as is practically possible. Follow the link to see the current progress of the project. Perhaps you are now wondering how become a member. If so, feel free to click on the link below and see if this hobby is for you. If you think it is, send us an e-mail and we will arrange a meeting. We like to meet you prospective members at local group level first. This is partly a safety filter as you'd expect with a society that has much to do with edged weapons, but we also like to explain the pleasures, pains and pitfalls of becoming a member of an organisation that takes accuracy of portrayal as seriously as we do. As with any other hobby, you will have tp spend a little money to get into the game and, for the would be combatant, one never need progress beyond the level of a freeborn Ceorl equipped with only a spear and shield. There is nothing we say or do that runs your arm up your back to get better kit, a mail shirt, a helmet or – what every aspiring warrior wants – a broadsword. But most do and it is only fair to tell you up front what you might be letting yourself in for. If you are keen to employ us, to book us for an event or filmwork, just click the links to jump to the relevant section. We can provide anything from small armies of heavily armed warriors to a lone historical advisor, combat instructor or scribe. Within these pages, there are sections on every subject you can imagine and we hope you'll quickly realise that we are about history first and everything we do is predicated around an accurate presentation of our ancestors. We owe them that, surely? 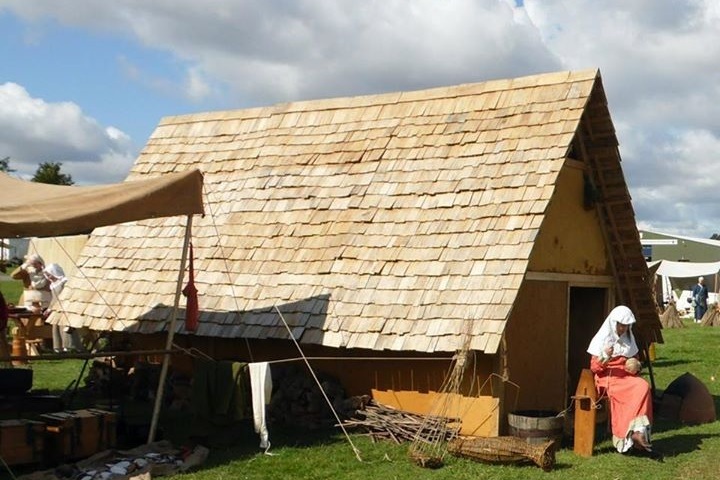 You may also like to explore the fictional pre-Conquest estate of Wichamstow, where you can find out more about the life and times of late Viking Age Britain. 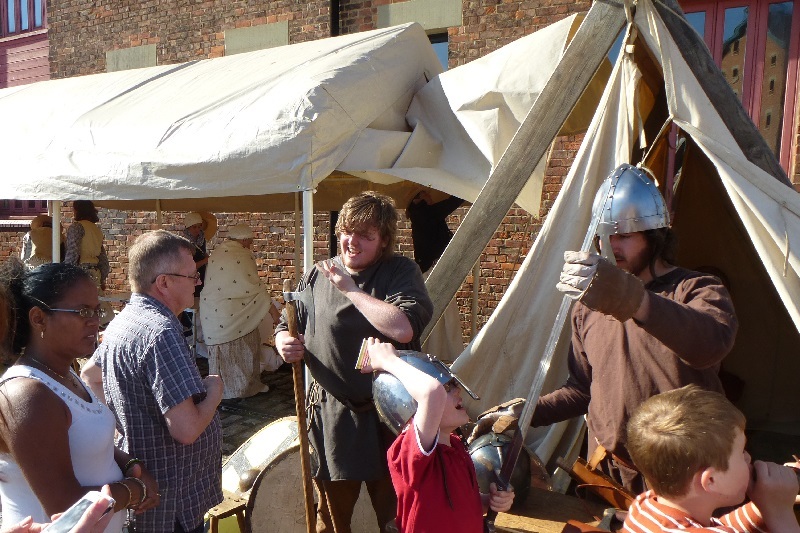 If you go to the Eorl's manor of Drengham, you will discover more about warfare and the defence of Anglo-Saxon Britain. All of the information herein is based upon research conducted by members of Regia Anglorum and is illustrated where possible with illustrations or photographs to give a detailed insight into life of the period. We hope that they will aid enthusiasts, students and academics to picture and expand their knowledge, or even encourage more personal research. The images on this page demonstrate some of the varied situations that Regia members find themselves in. Pictures of men in battle are the kind of representations that are always associated with this period. However, people had to feed and clothe themselves, travel and have somewhere to live, all of which have to be experienced to some extent to get a better feel for the period. Regia hopes to inject some reality into these once everyday activities. 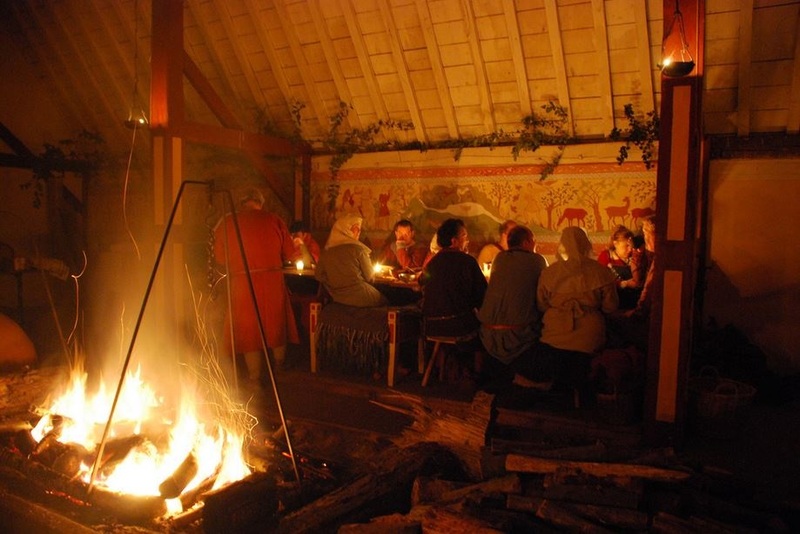 Whilst this can include getting cold, wet and reeking of wood smoke, just sitting around the campfire with your friends is an atmospheric experience in itself, which we hope brings the 10th century back to life for you. 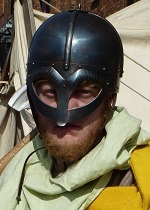 Regia Anglorum is a founder member of the National Association of Re-enactment Societies (NAReS) and one or another of our senior members have served on their Executive Committee for more than twenty years. 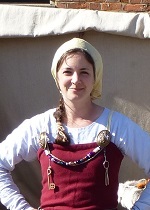 NAReS acts in the manner of a professional body and represents the interests of the British re-enactor to Government bodies, the Police and other similar organisations. Its membership is drawn from those societies that recreate over 2,500 years of our history and draws upon the support of 85% of British groups - conservatively, around 18,000 people. NAReS has had some spectacular successes over the years and it is principally through their work that these authoritarian bodies have a clear understanding of the needs of the hobby and those who pursue it. Any British re-enactor owes a great debt of gratitude to this often overlooked organisation. Further information about NAReS can be found on their website nares.org.uk.